It may not make chocolate one of your five a day - but scientists have found a way to replace up to 50 per cent of its fat content with fruit juice. The final product will taste fruity - but there is the option to use water and a small amount of ascorbic acid (vitamin C) instead of juice to maintain a chocolatey taste. Dr Bon said: “Everyone loves chocolate – but unfortunately we all know that many chocolate bars are high in fat. “However it’s the fat that gives chocolate all the indulgent sensations that people crave – the silky smooth texture and the way it melts in the mouth but still has a ‘snap’ to it when you break it with your hand. 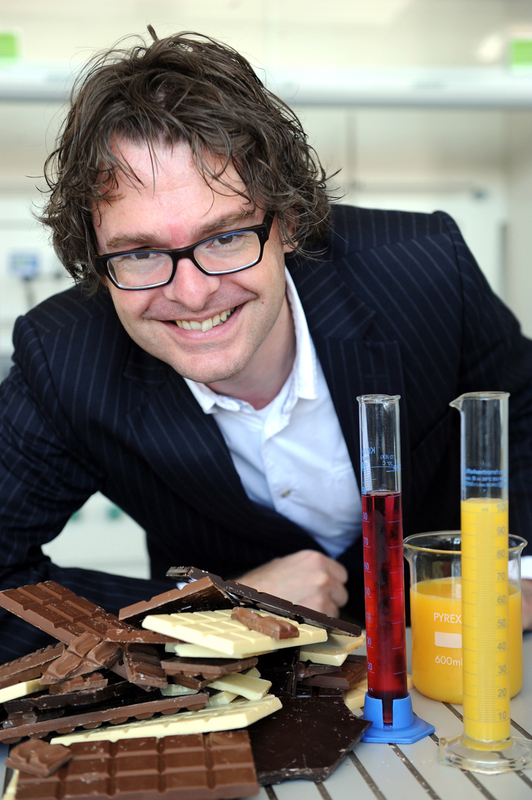 The study, entitled Quiescent Water-in-Oil Pickering Emulsions as a Route toward Healthier Fruit Juice Infused Chocolate Confectionary was co-authored by Thomas Skelhon, Adam Morgan, and Nadia Grossiord at the University of Warwick.